This error means that you have added posts to your Queue for a specific Profile and Category, but on the Categories page you have disabled that profile for that Category. 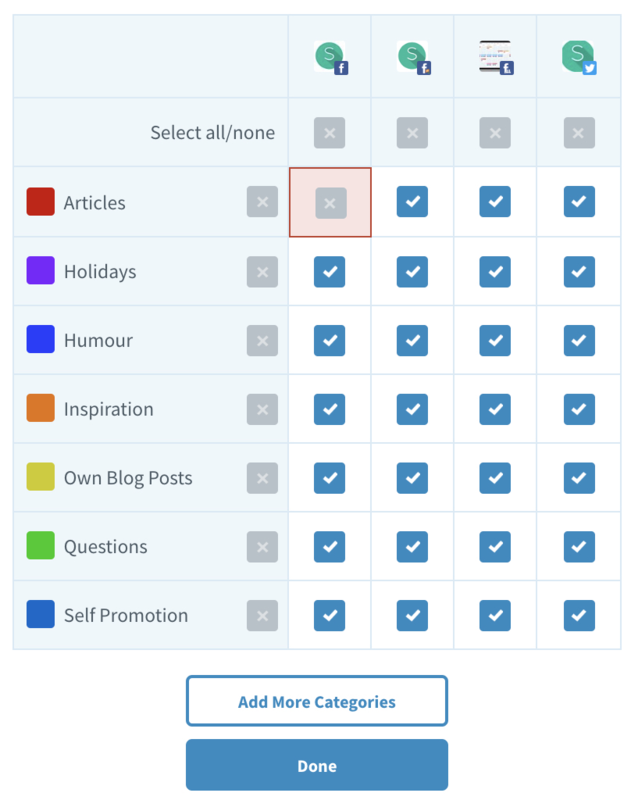 You can fix this by setting up your categories to enable the relevant Profile-Category pairing. To remedy this, click View Hidden Posts. Each post that is hidden will show an individual warning that explains which profile + Category Timeslot needs to be created to move the post back into the normal Queue. Click the checkbox to enable it. When you navigate back to your Queue, you’ll see your posts are now Queued and ready to go!